Simple PvP is no longer relevant and faded into the background. Today, everyone wants to see not only beautiful arenas, but also smart mechanisms responsible for interesting and uninterrupted gameplay. 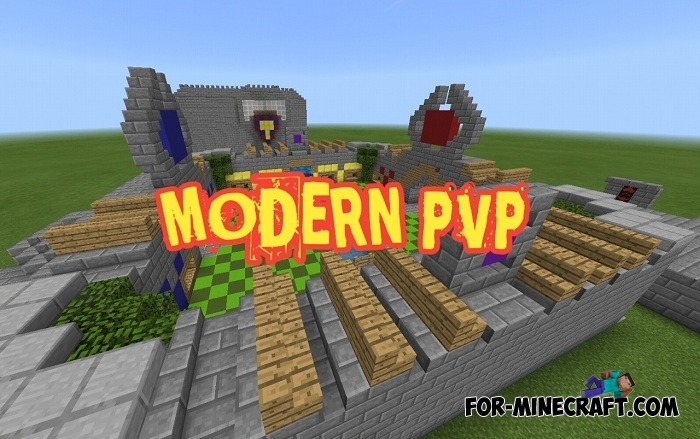 Modern PvP offers players mechanisms, a compact and objective arena as well as generators designed for the final victory. First you need to create a gold block but do it first to get ahead. Then steal your opponent’s flag and place it on the gold nugget generator along with the gold block. In this way you will become the undisputed winner in this fight. 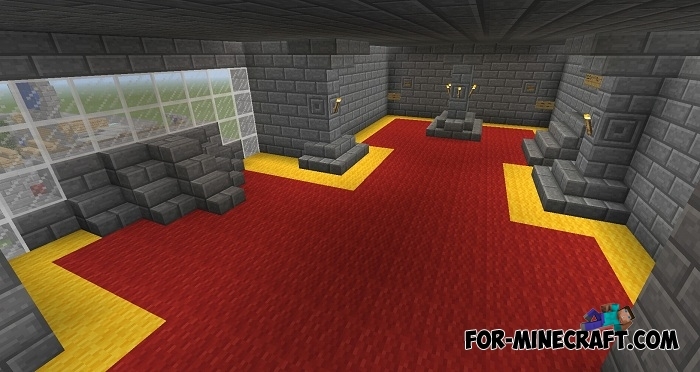 The map also has two towers, each of which can be built for one gold bar. There are three types of spells: zombie gang, lightning and a trap charm.